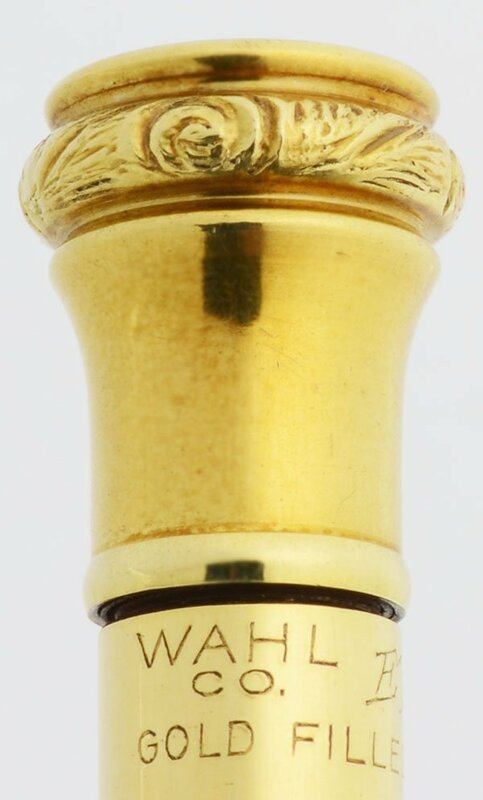 Wahl Eversharp full size mechanical pencil from the 1920s. It has a yellow gold filled with a Grecian Border design and takes "thick" or 1.1mm leads. Superior condition and working well. Filling System Takes 1.1mm (aka "Thick") leads and extends lead in the traditional twist method - you twist the top piece. As is the case with early Eversharp pencils, it extends leads very well, but you have to push the leads back in. There are a few leads in the lead reservoir. 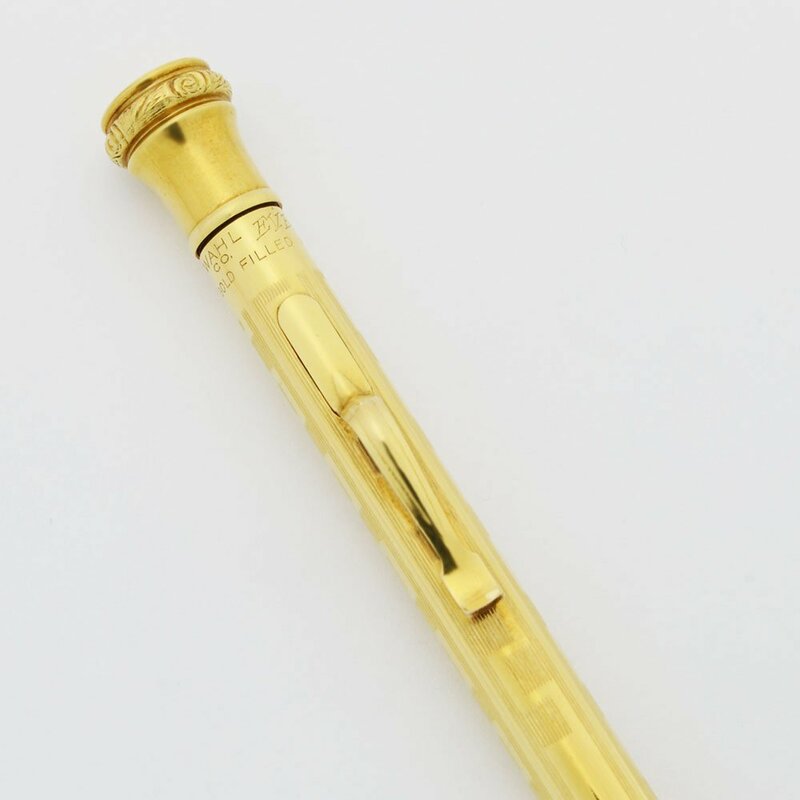 Color Yellow gold filled pencil with the Grecian Border pattern. The pencil cone is not gold filled and it has an ornate column decoration on the cap. Condition Superior condition. No dents or major plating wear. No personalization. The patterning and imprints are very clear. There are a few marks on the cone area of the pencil. The pencil is working very well.